I can’t believe it’s been two years since we left Greece to start our new life here in France. Two whole years! I know, where has the time gone? Of course, we’ve been busy. As always, I’ve been writing and we’ve steadily been working on the house, as well as getting to know the local area. We’ve even made a handful of friends. But still, twenty-four months! We’re obviously having way too much fun. The one thing we still haven’t done though is get to grips with the language. Of course, when it comes to Robert, this is more than understandable. Still working in the UK, he’s only here one week out of four and within minutes of his arrival I’m handing him a list of jobs to do. What with the grass needing cutting, this wall needing painting and that ceiling needing dropping… you get the gist, the poor man doesn’t stop. But what excuse do I have? 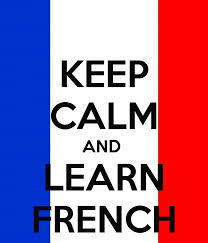 Especially when I’ve been to classes, done the homework and all but submerged myself in French grammar. I suppose my lack of progress comes down to a lack of practise. I mean I can’t really strike up a conversation with the lady at the till in the local supermarket. Or expect the telemarketers that call to run through the various verb endings with me. It’s no wonder my most used phrase is Je suis desole. Ma Francais n’est pas tres bon. (I’m sorry. My French is not very good.) And I’m not sure if I’m even saying that correctly! Anyway, as of this morning I’m pleased to say all that could be about to change. And all thanks to a friend who invited me to join a group he attends – a mix of French and English people all eager to practice their opposing language skills. Naturally I was delighted and willingly went along to say hello, or rather bonjour. After all, I’m not going to improve my French if I don’t seize the opportunity to speak it, am I? So there I sat, for a whole two hours, chatting with my friend and a couple of French ladies, happily accepting praise for my accent even if it was pretty obvious my vocabulary is somewhat limited. Safe to say I must have been having fun, because just like the last two years, those two hours flew by! ← First thoughts are in! I was taught French between the age of seven and sixteen and I’m afraid none of it stuck. I think in the following forty years I’ve spoken three sentences of French to a native French speaker. Suzie, What fun. I do hate to see people move to France and never mix with the people or the language. I thought about that when I wrote a post about cheek kissing in France and realized that so many visitors will never get the chance to try it any way since they won’t know French people that well. This sounds like a good way to learn the language. Learned French at school, moved to Germany and learned (through everyday use) German, and then worked in the US with Italians so picked up some Italian. Soon we were working with Chinese in SE Asia and so had to learn some Mandarin and Cantonese, then back to the US and Spanish was required. Husband worked in India so several dialects picked up. Son married a Czech girl, so had to learn some of her language. Result: I begin a conversation in one language, it melts into another, and then another, and before I know it I am speaking a little of this and that all at once to someone who looks completely stunned and uncomprehending, which of course I am also. It’s all Greek to me! 🙂 Au Revoir. For what it’s worth, I’ve found that the best thing is to jump right in and not be worried about perfecting the accent, etc as that will all come in time. I remember when I was trying to learn Greek (yes, I know, as a Greek male I should have learnt it much earlier…! ), and I found the best thing to do was to just keep trying and not worry about making mistakes. I know that’s easier said than done, but I found that half the battle was keeping my fear of looking stupid at bay. Suzi, when we lived in Germany (the second time round) Mum was anxious about shopping in the local markets and would normally take my little sister aged about 5 as her German was quite good. On one occasion my sister was not able to go to the market with her and so Mum went alone. She went for onions and strawberries and we have no idea how it happened but she came back with an ironing board! I’ve been learning French for a lot of time, I could understand, read, write, but speak… Two years ago I just started to speak with some native speakers and within two months I could speak normally. It is the best way to forget about everything and just speak, even if you do it with mistakes. Well done Suze! I have been here 10 years and cannot speak the language and people do criticize without even beginning to know what the problems have been. Wish I could attend a language or conversation group! Pleased that you are making headway. 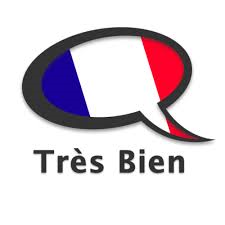 Tres bien!